This post has been written in partnership with the Red Bubble Affiliate Program. Thank you to Red Bubble for providing the Buffy t-shirt, created by an independent artist, for our DIY fashion project. All opinions expressed are my own. There are certain silhouettes in tops that I find to be particularly flattering on most body shapes. The boxy high-low t-shirt is one of them. It hides any flaws you may have around the middle and still provides coverage in the back for those of us who want to be more modest when wearing leggings or skinny jeans. Even though the high-low hemline is something that is extremely popular at the moment, it seems to be difficult to find them in casual t-shirts. I also have trouble finding women's t-shirts with a boxy hip-length cut. There are so many cute t-shirts out there, but the girly fit is too form-fitting for my taste and the unisex t-shirts are too long. 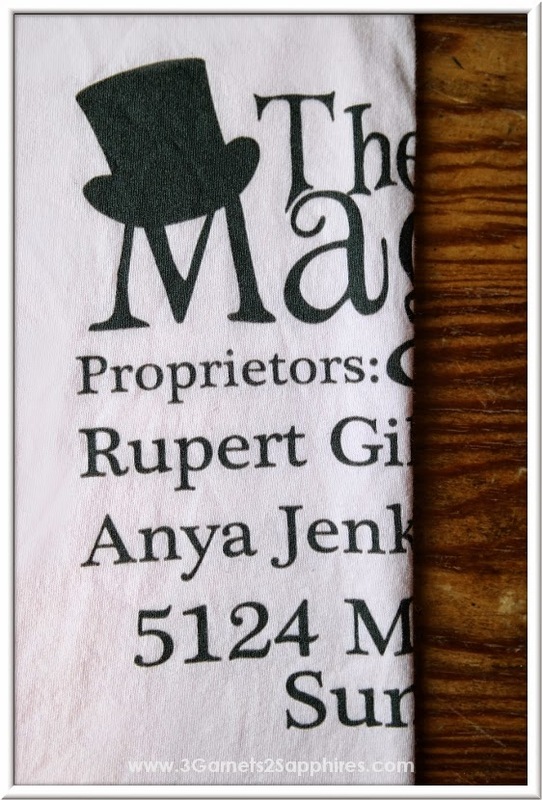 I often forgo buying printed t-shirts I like because there does not seem to be a shirt style that's a good fit for me. That's why I decided to try making my own hip-length high-low t-shirt out of a unisex t-shirt. Two birds . . . one stone! Before you begin, be sure to wash your t-shirt to get any shrinking out of the way. My Red Bubble t-shirt does not recommend machine drying, but I needed to shrink mine, so I put it in the dryer inside out. I am about 5'5" and purchased a unisex XXL. The shirt hem hit just above my knees. After machine washing in cold and tumble drying it, the t-shirt length was 3" to 4" shorter, which was perfect for this project. Step 1. 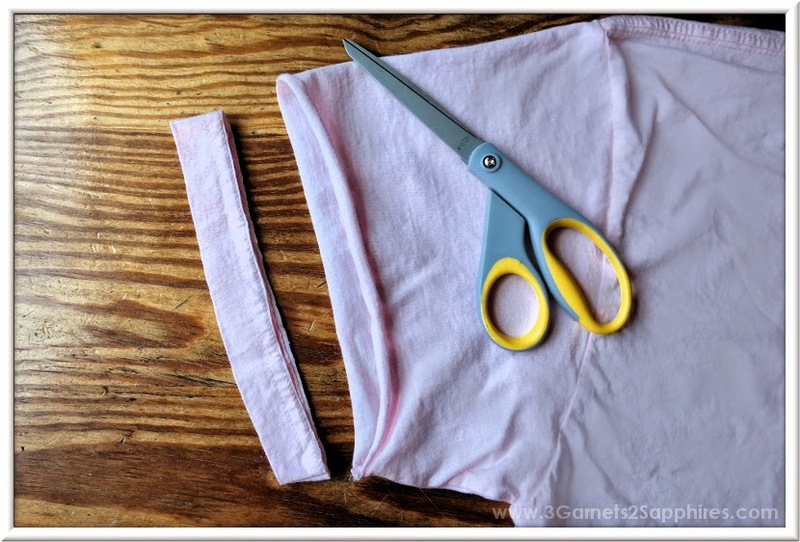 With your shirt laying perfectly flat (front facing up), use scissors to make two tiny cuts on either side of the trim around the neckline. 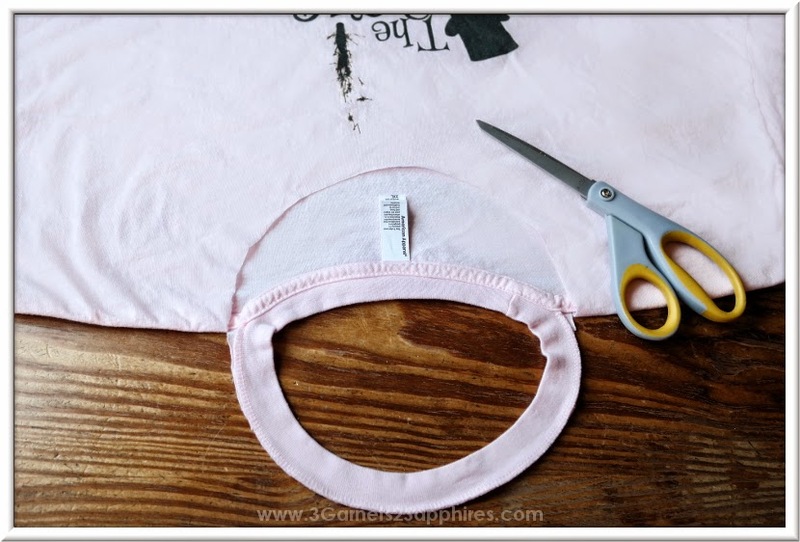 Then insert your scissors into the opening you've made and cut around the neckline of the front of your t-shirt only as close to the trim as possible. Step 2. 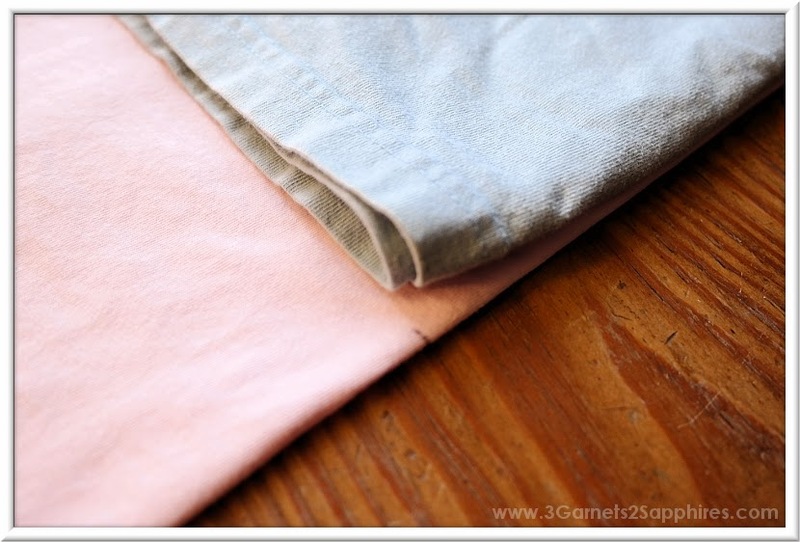 Flip your t-shirt over and lay it perfectly flat on your work space. Then continue to cut around the band along the neckline on the back of the t-shirt until the entire band has been removed. Step 3. 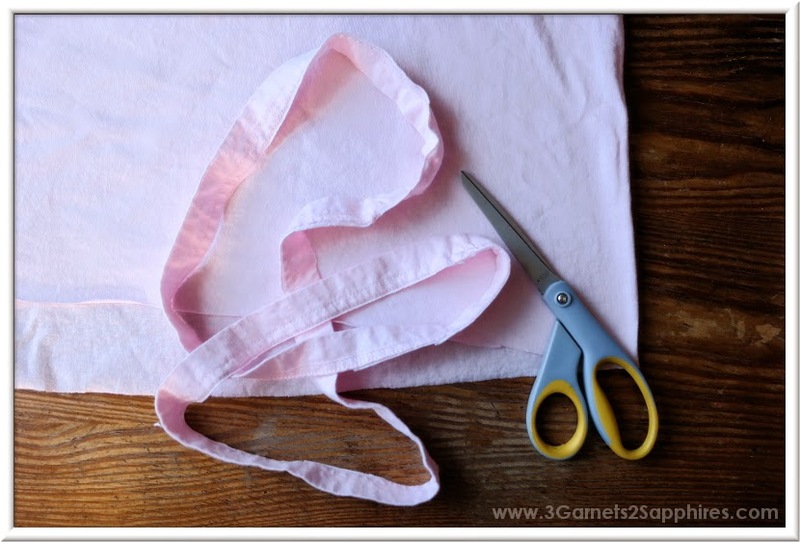 Make a tiny cut at the bottom seam of the left sleeve as close to the band as possible. Then insert your scissors in the opening and remove the band starting at the front by cutting as close to the band as possible. Then flip the shirt over to continue cutting to remove the entire band. Then repeat this with the right sleeve. Step 4. Repeat Step 3 with the hem of the t-shirt. Step 5. With the front of the t-shirt facing out, fold your t-shirt in half vertically. Be very careful to match up the shoulder seams, underarm seams, and hemline. Step 6. 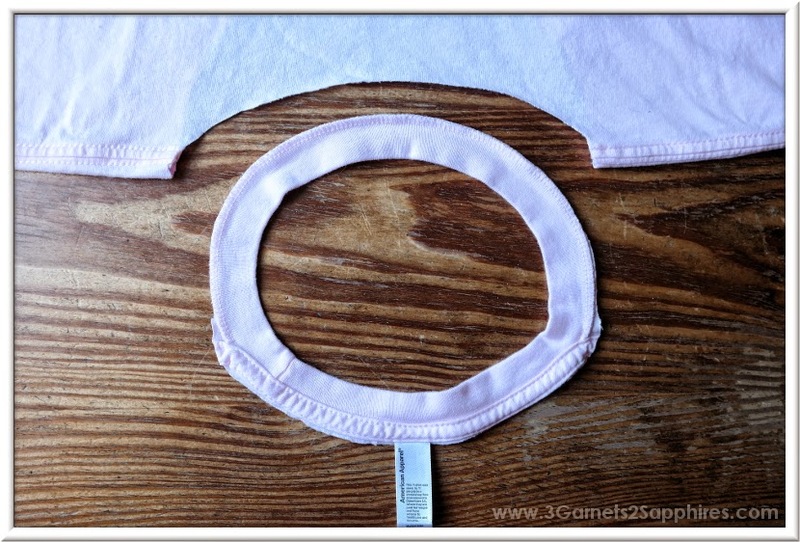 Fold a hip-length t-shirt that you already have in half vertically with the front facing out. Then lay it on top of your project t-shirt and make a small mark on the bottom shirt to note the length of the shirt on top. You can do this using a pen, pencil, or a thin piece of chalk. If you don't own a hip-length t-shirt, then you can use a measuring tape to approximate and mark off how high up hip-length would be from the bottom hem. Step 7. Lay your project shirt flat with the design facing up. Then draw a curved line connecting the mark you just made at the middle of the shirt to the bottom right corner of the shirt. Do the same thing, connecting the center mark with the bottom left corner of the shirt, mirroring the first curved line you drew. Step 8. 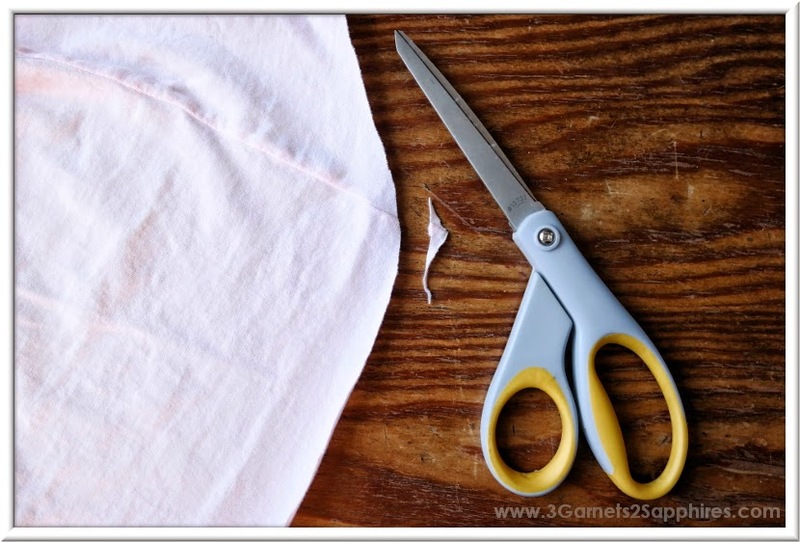 Using scissors, carefully cut along the arc you drew to create a curved hemline on the front of your shirt. Step 9. 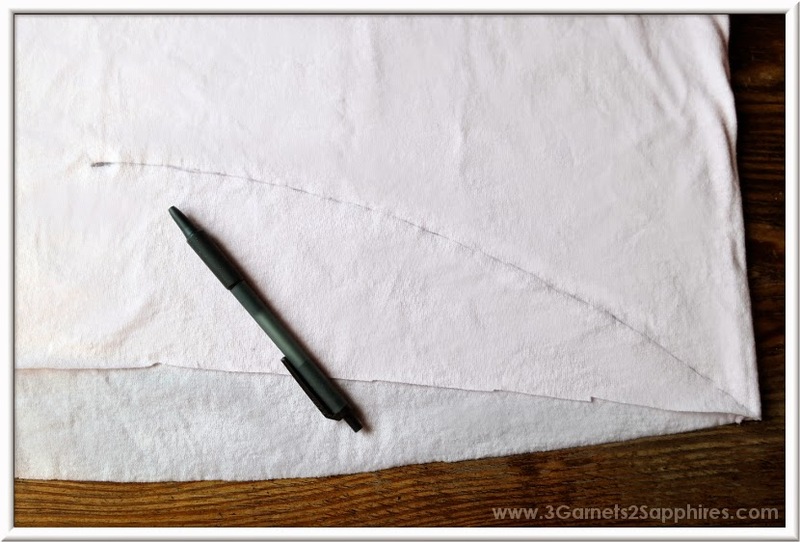 Lay your shirt so that the right side seam is flat on your work space. Then carefully remove the sharp angle at the bottom of the seam so that the front hem transitions smoothly to the back hem. 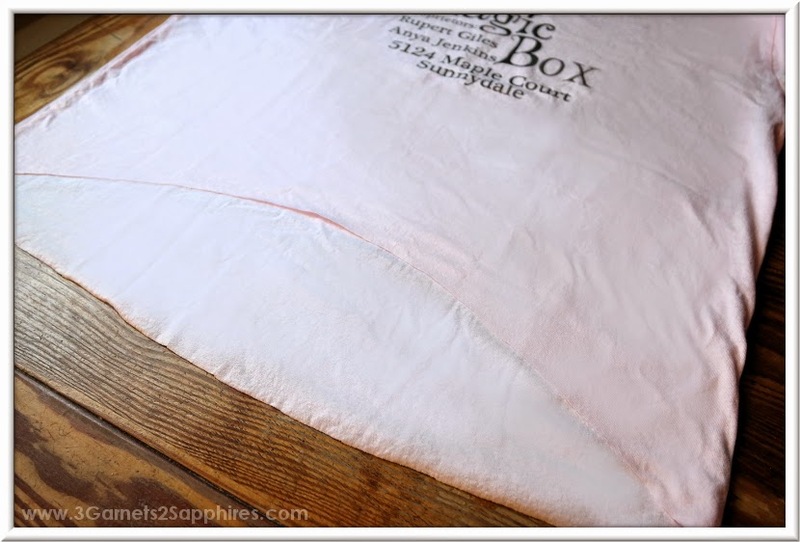 Repeat this with the bottom of the left side seam. Step 10. Give all your raw edges (neckline, sleeves, and shirt hem) a few good stretches to create a more natural slightly rolled edge. Now you're all done and should have a comfy and stylish new high-low hem t-shirt! This was my first time doing this project, but I am pleased with how it turned out. I will definitely be doing this again and am thrilled that, going forward, I can buy the printed t-shirts that I love without hesitation due to the shirt style. If you give this easy DIY fashion project a try, let me know how it turns out! 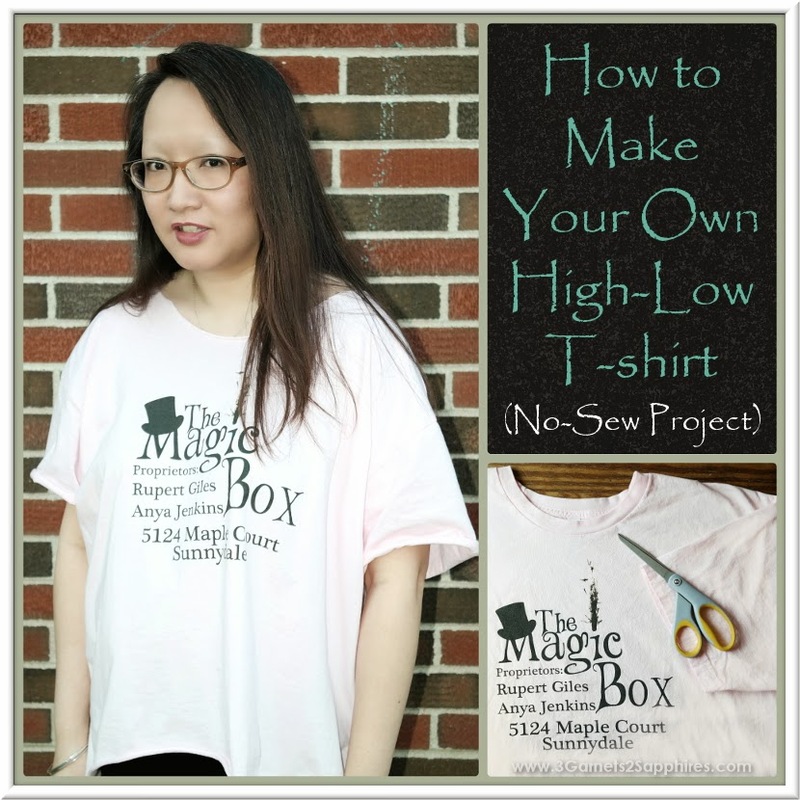 You can find this Magic Box Advertisement t-shirt by independent artist, UtherPendragon, and other Buffy t-shirts at RedBubble.com.